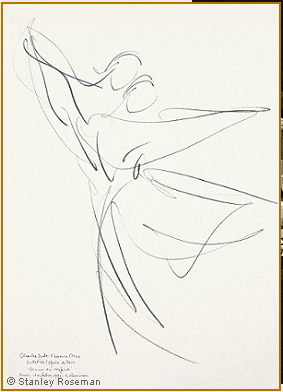 Stanley Roseman was invited in 1989 to draw the dance at the illustrious Paris Opéra. The prestigious invitation to Roseman from the administration of the Paris Opéra was greatly meaningful as the Dance holds a preeminent place in the cultural tradition of France and is an important subject in French art. The Paris Opéra dates back to the reign of Louis XIV and his founding in 1669 the Académie d'Opéra, which was renamed three years later the Académie Royale de Musique under the directorship of the Italian-born composer Jean-Baptiste Lully, who transformed court divertissements into professional theatre. Louis XIV, a patron of the dance as well as an accomplished dancer, gained his epithet "the Sun King'' from his role as the personification of the Sun in the Ballet de la Nuit. The cultured monarch founded in 1661 the Académie Royale de Danse, and in the closing years of his reign he established in 1713 a school of dance which continues today as the Paris Opéra Ecole de Danse, the oldest school of its kind. The Paris Opéra Ballet, cradle of classical dance, developed under the guidance of distinguished ballet masters through the seventeenth and eighteenth centuries. The Paris Opéra, which had been housed in a number of different theatres since its inception, received its world-famous edifice when Napoleon III commissioned the building of a majestic opera house to crown the grand thoroughfare appropriately named Avenue de l'Opéra. Construction began in 1862 of the new opera house, also called the Palais Garnier after its celebrated architect Charles Garnier. 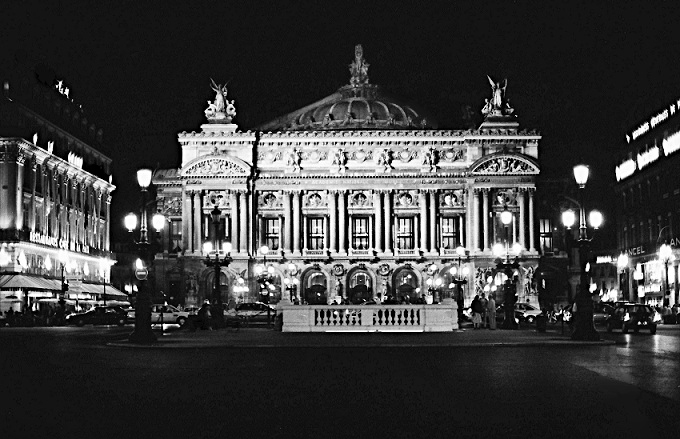 The splendid Paris Opéra was completed under the Third Republic and inaugurated on January 5, 1875. Roseman began his work at a glorious and unique time in the history of the Paris Opéra. The Paris Opéra Ballet was enjoying a Golden Age of Dance. Moreover, when the Opéra Bastille opened in 1989, in the eastern part of the city, the Palais Garnier was dedicated exclusively to the dance. With a passion for drawing and a love for the dance, Roseman states: ''I felt the dancer's language in harmony with my own as a draughtsman.'' Roseman drew at rehearsals in the dance studios and at the pré-générale and répétition générale (dress and final dress rehearsals) in the sumptuous red and gold auditorium of the Palais Garnier. There followed the excitement of drawing on opening nights and renewed enthusiasm of drawing at subsequent performances during full seasons dedicated to the dance. 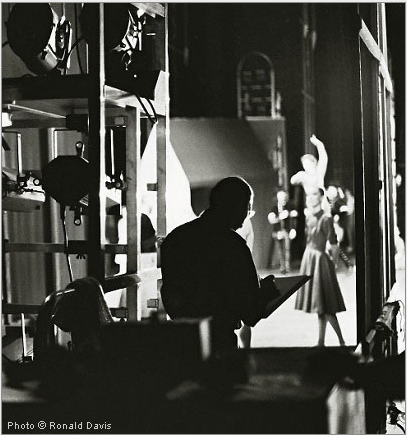 Having become " 'an honorary member' of the ballet troupe,'' notes the Bibliothèque Nationale de France in a biographical essay on the artist, Roseman was given the extraordinary privilege to draw during performances, night after night, from the wings of the stage of the Paris Opéra. For five seasons, the Paris Opéra, Palais Garnier, featured performances of Romantic and classical ballet and modern dance by the celebrated Paris Opéra Ballet as well as guest appearances by major dance companies from Europe, Russia, Japan, and the United States. from the wings of the stage of the Paris Opéra. "My interest in the dance is neither to illustrate the story of a ballet nor to depict dancers in repose or readying for a performance. For me the subject of the dance is the dancer dancing. Stimulated by the athleticism and sensuality of the dance, I am interested in the dancer's emotive use of movement as a means of personal expression." 1. Stanley Roseman, Stanley Roseman and the Dance - Drawings from the Paris Opéra, (Paris: Ronald Davis, 1996), p. 9. 2. Stanley Roseman - Dessins sur la Danse à l'Opéra de Paris (text in French and English), Bibliothèque Nationale de France, 1996, p. 11.
can be seen at stanleyrosemandance.com.